THE HSE CONTINUES to fund the services of suicide charity Console, but has contingency plans in place should the charity fold. Speaking on RTÉ’s Today with Seán O’Rourke, director general of the HSE Tony O’Brien said that it continues to fund Console on an arrears basis. Revelations about financial irregularities within Console and the lavish spending of its former CEO Paul Kelly and his family came to light last month after a HSE audit into the charity and a subsequent RTÉ Investigates programme. O’Brien today defended the HSE’s record on Console, saying that it only ever part-funded the charity and that it had been satisfied with the service Console provided. “This is not an organisation that we controlled, this is not an organisation that we are the primary funder of, this is an organisation that we were buying certain specific services from,” said O’Brien. “It’s important to stress we fund many thousands of organisations to provide a wide range of services. We have 50 audit staff… What we concern ourselves with is the quality of the service that we’re paying for and whether or not we’re getting it. O’Brien said that the HSE had continued to fund Console in arrears and up until this week had paid in €20,000 so far this month. “Our primary concern is around sustaining the services that we fund,” he said. Our aim is to ensure [continuity of counselling] and there has been significant work done currently… clearly what we’re not going to do is pull the plug on those services unless Console says that it can no longer provide them. He said that interim CEO David Hall and its board of directors had a “difficult decision” to make over whether the organisation is financially sustainable. Hall said last week that the charity would be wound down and the HSE issued a statement saying that it was making arrangements to transfer its funding to a similar service. O’Brien confirmed this afternoon that it had “contingency plans” plans in place should Console cease trading. “We have contingency plans, such that, if Console decides it can no longer trade that we will put in place replacement services,” he said. But it’s not part of our decision making whether Console can continue to trade or not. 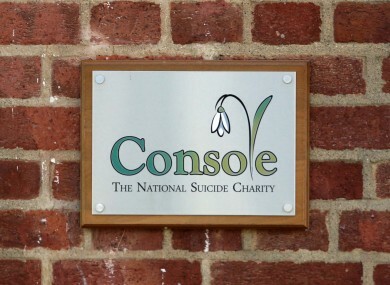 The board of directors on Console are due to meet today to discuss the future of the charity. Former CEO Paul Kelly, his wife Patricia and their son Tim are expected back before the High Court next week to give a full disclosure of their assets. Comments have been disabled as a case concerning Console is still before the courts. Email ““This is not an organisation that we controlled" - HSE defends its record after Console controversy”. Feedback on ““This is not an organisation that we controlled" - HSE defends its record after Console controversy”.